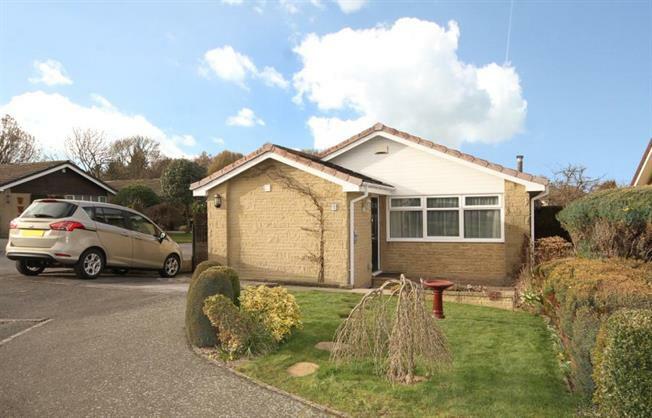 3 Bedroom Detached Bungalow For Sale in Dronfield for Guide Price £325,000. A brilliant opportunity has arisen to purchase this generously proportioned and tastefully decorated three bedroom detached bungalow in the popular and convenient residential area of Dronfield Woodhouse. This really must be viewed to appreciate the quality of property that is offered. The property consists of a kitchen which is fitted with a range of matching wall and base units with worktop over and complimentary tiled splash backs. A separated dining room with sliding patio doors gives the room lots of natural light. The lounge is spacious and has nice light and airy feel with a larger than average front facing window and a further side facing window with a continuation of the natural dcor which is found throughout the bungalow. A hallway gives access to three double bedrooms two of which have fitted wardrobes. You will also find a modern shower room which is made up of a white three piece suite comprising double walk in shower cubicle, a sink with vanity units under and toilet. The second bedroom also gives access to a generous conservatory which looks out over a low maintenance rear garden which has two areas of artificial grass and well stocked feature borders. To the front is a lawned area with block paved parking for two vehicles. A pebbled drive gives access down the side to a detached single garage with electric up and over door and a rear door gives access to the garden. The bungalow is ideally located to a number of local amenities such local shops, doctors, dentist, supermarkets and local pubs and restaurants. The area is also well connected to public transport with good bus links serving the area along with the train station in close by Dronfield giving access to Sheffield, Chesterfield and further afield.